Pumpkin Queen is straight from Halloween with a true orange creme color. 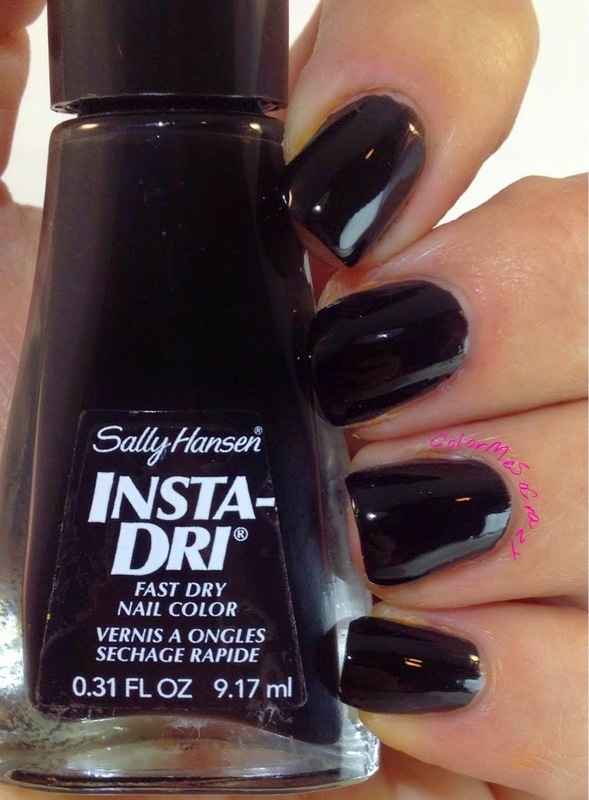 It is opaque in 2 coats and was really nice to work with. Fright Night is a gorgeous black creme that just glides on perfectly. I used 2 coats in this picture, because I have this thing with 2 coats of polish but really 1 coat would have worked just fine. 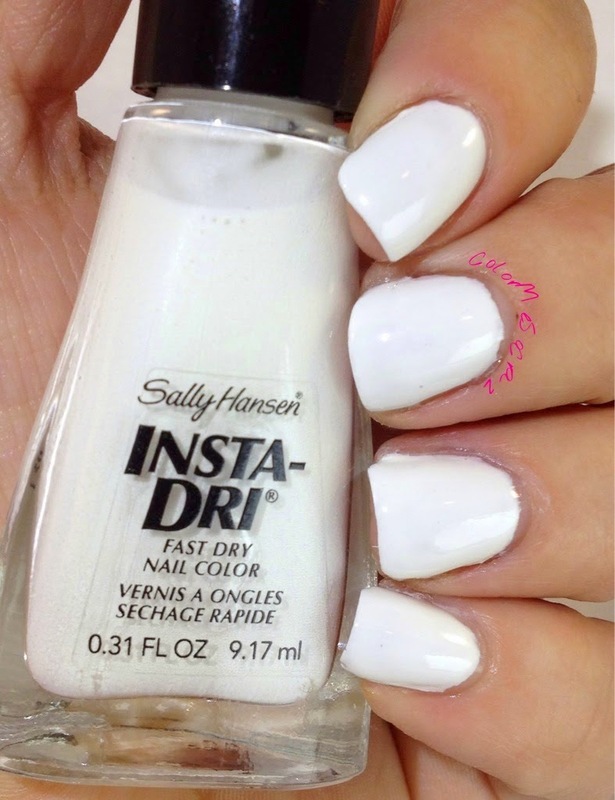 This is a gorgeous white color. OMGhost was not spotty, stringy, not streaky. It was just a beautiful color and application of pure white. 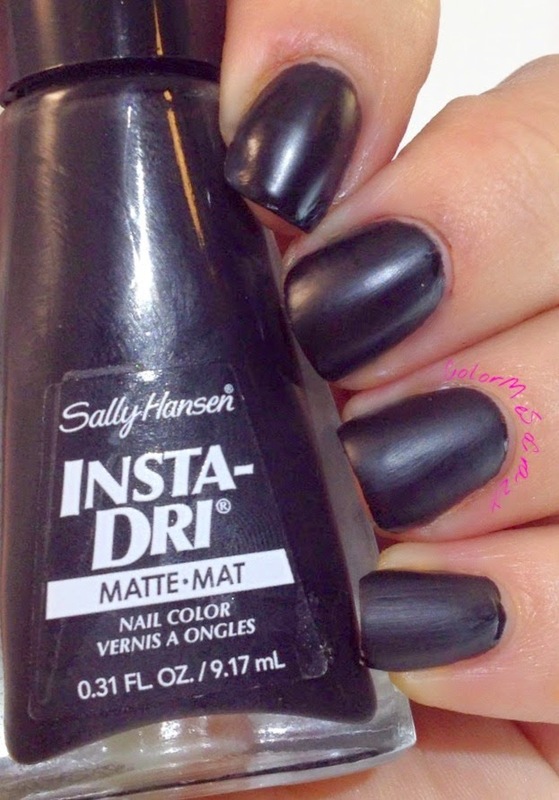 You all know how much I love my matte polish, so I am just a huge fan of this. This kind of reminds me of Illamsquas rubbery finish. It is gorgeous and I just love the way it applied. Flawless and smooth. 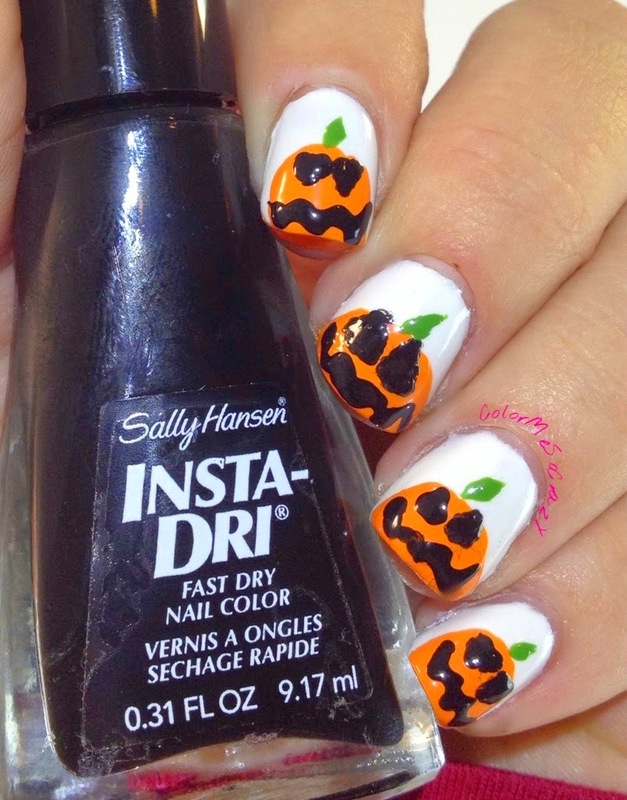 Look how cute these little pumpkins that I did with the Insta-Dri colors. I added the stem accent with NYC High Line Green. 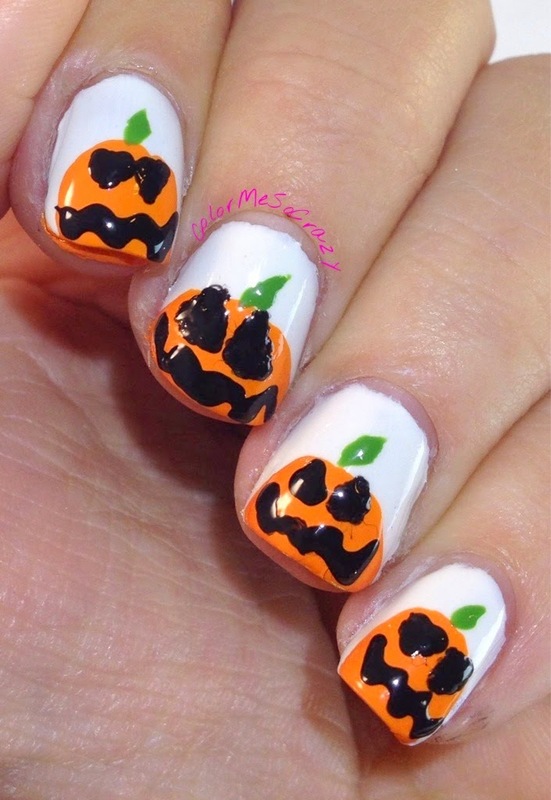 I just did these pumpkins with a quick free hand design and the help with a dotting tool for the little details areas. The Insta-Dri brushes are wider than normal brushes and even though I have super tiny nail beds, I really like the wider brush. I makes it easier to apply the paint for me. 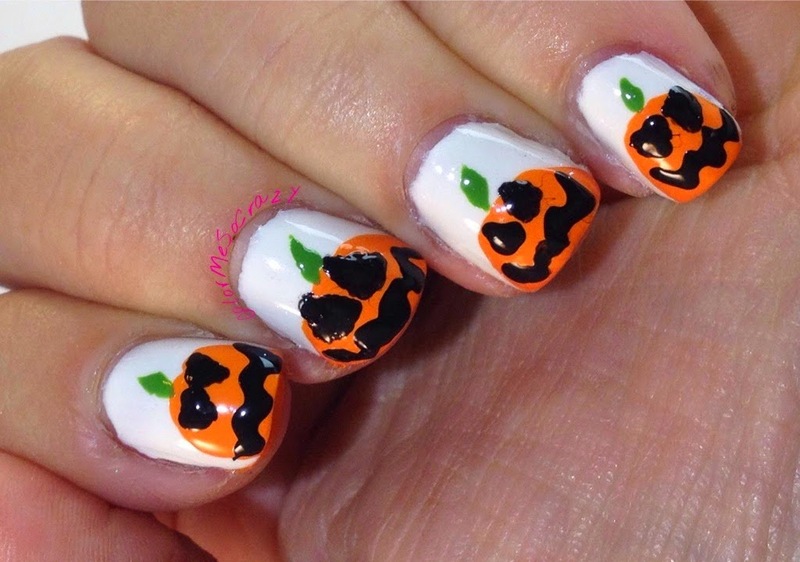 Overall, I love these polishes for Halloween and I think they make an awesome addition to any collection. 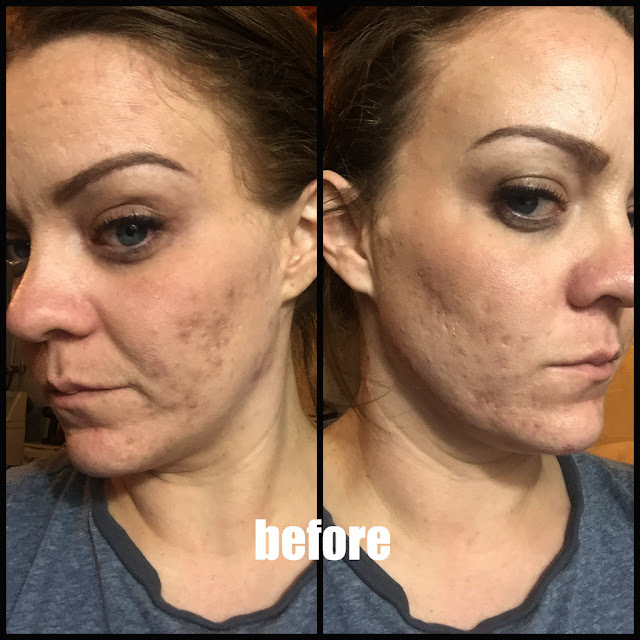 They applied smoothly, the color was a solid creme, the brush is awesome and the price cannot be beat. 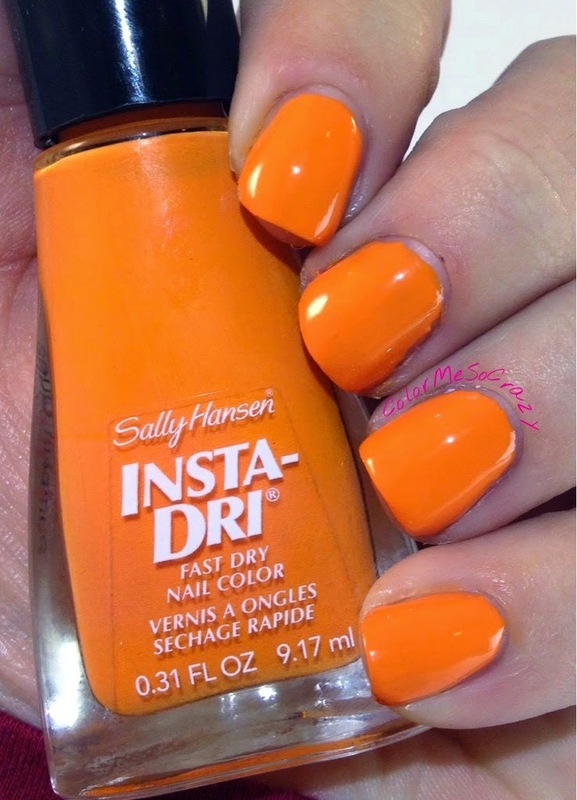 If you are looking to see what else Sally Hansen has to offer, you can check it out here.